As we age, the effects of the elements, time, and stress eventually take a toll on our skin that even the most beautiful among us cannot escape. Brow lines, crow’s feet and fatty facial deposits in a sagging jawline are inescapable even for Hollywood royalty. With just a little bit of extra help from someone like James Christian Sardelli, RPA-C though, you can turn the clock back on your skin, resulting in dramatic improvement. Superstar Pamela Anderson, age 49, stunned the audience at the Vivienne Westwood Fashion Show recently in Paris, looking better than ever. Her hair was smooth and sleek, her makeup natural and light. Pamela’s drastically updated, more natural look has all of Hollywood talking. Her skin is suppler than ever, and she looks at least ten years younger. Her newly refreshed, rejuvenated, brightened and healthier look has sparked much debate among followers about just what kind of work she may have recently undergone. In an interview with HollywoodLife.com, one renowned plastic surgeon claims he only suspects “possibly some BOTOX® and fillers”, while another believes Pamela has recently undergone a rhytidectomy, commonly known as a facelift. Pamela’s great bone structure and firm, elastic skin make her an excellent candidate for the procedure, which typically lasts about five years. At her showing in Paris, it was her flawless neckline and jawline that had some doctors pointing to a recent, fresh facelift. Everyone seems to agree that Pamela has updated her lips as well. Her smoother, plumper looking lips could possibly be the result of a filler. Non-surgical, injectable fillers are often used to enhance the size and shape of lips as well as filling creases, folds, and wrinkles around the mouth and nose area for up to a year. To further enhance her already flawless face, Pamela has likely had Botox injections to smooth fine lines of the forehead. BOTOX is a commonly used prescription injected into facial muscles between the brows and around the eyes to diminish wrinkles and fine lines in those areas. Doctors also suspect Pamela has recently had her cheeks enhanced with a filler like JUVÉDERM VOLUMA® XC. This substance is made from hyaluronic acid, a substance already naturally found in the skin. Fillers like this replace volume lost in the cheeks due to age, weight loss, or illness. 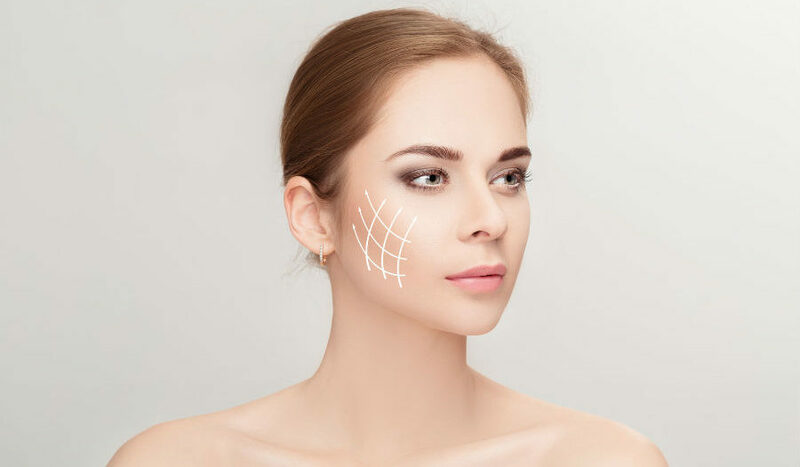 Full or mini facelifts, a little bit of BOTOX, and simple fillers certainly can go a long way to change a look or subtly turn back the signs of aging for any of us. Are you looking to enhance your beauty? If so, call me. I offer injectable services including lip plumping, cheek volume restoration, skin rejuvenation, and more. In a very short time, you can improve your look and feel better about yourself. Contact me today at 917-860-3113 (our 24/7 text concierge) or 844-426-8696 during normal business hours. James Christian Cosmetics provides injectables to residents of Suffolk County, and the surrounding areas of Long Island and beyond including East Setauket, Islip, West Hampton Beach, Commack, Manhattan, Brooklyn, Rockville Centre, Farmington, Babylon Village, and Huntington Bay, New York. * BOTOX®, BOTOX® Cosmetic, and JUVÉDERM VOLUMA® XC are registered trademarks of Allergan, Inc.